Like most of us, I am thinking of my mother today, feeling so fortunate to be her daughter and so incredibly blessed to have her around as my children fly through their teenage years. I am grateful for our daily conversations, the incredible stories she continues to surprise me with–still, after all these years–and most of all, for the laughter we share. In her honor, and in honor of all the mothers within reach of my blog, I am reposting this tribute from five years ago. One of the best things about being a mother is being able to share my children with my mother and vice versa. Mom has been such a part of Zoe and Theo’s upbringing from the start, with the books she brings, the time she spends, the stories she tells them of her childhood and mine. My children are eight and eleven now; Mom still cares for them at least once a week though it means driving out here to Jersey from her home in Manhattan. When she comes, she cooks for them, helps them with homework as needed, plays with them and listens to the stories they share of their lives. She never judges or criticizes them, but loves with an open mind and heart. My mother had been a presence in their lives since the beginning. I had to schedule my first prenatal sonogram on a day when my husband was away on a business trip. I did not want to go alone because the event was momentous for me: I was going to see the image of my child (who, at the time, bore a strong resemblance to a thumbprint) for the very first time, and wanted to share it with someone who, well, shared it. My mother had just gotten home from a trip to Spain and did not yet know I was pregnant. I’d been cautiously secretive about it to protect myself and others from disappointment. I had worked for several years at an adoption agency, counseling couples who had struggled with infertility before choosing adoption as the way to have a family. Since infertility was a common theme in my daily life—also since my body had lived through so much eating disorder trauma—I assumed I too would face challenges conceiving. I didn’t, though it took a few tests to convince me that the second line in the window was real. So my seven week sonogram—whose purpose was just to make sure everything was “viable”—was a big deal. Inviting my mother was how I told her I was pregnant. After the sonogram—which took place at the hospital where I’d ultimately give birth—we walked together the seven blocks to my OBGYN’s office, my mother clutching the sonogram printout in her hand. “Got a picture there, Grandma?” said Dr. Finkelstein, when we arrived. My mother beamed; it was the first time anyone had called her that. So, though we don’t see eye to eye on everything, though we’ve had our struggles, mostly in the context of our food/body image legacy (which I think has its roots in the death of my great-grandmother, who left my grandmother motherless and full of rage at six), we’ve always been close. 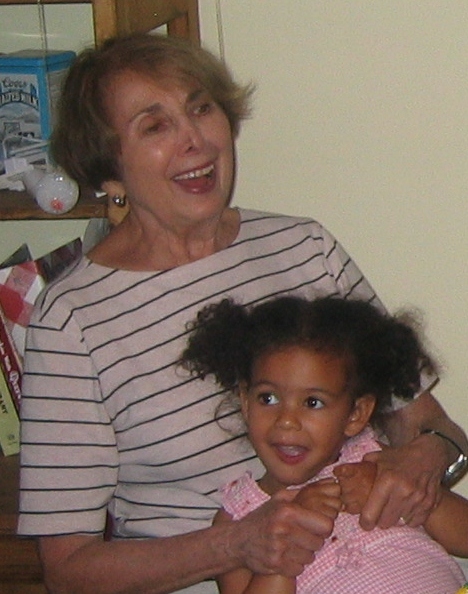 I am so lucky to have had her all my life; I’m lucky and grateful to have her now. 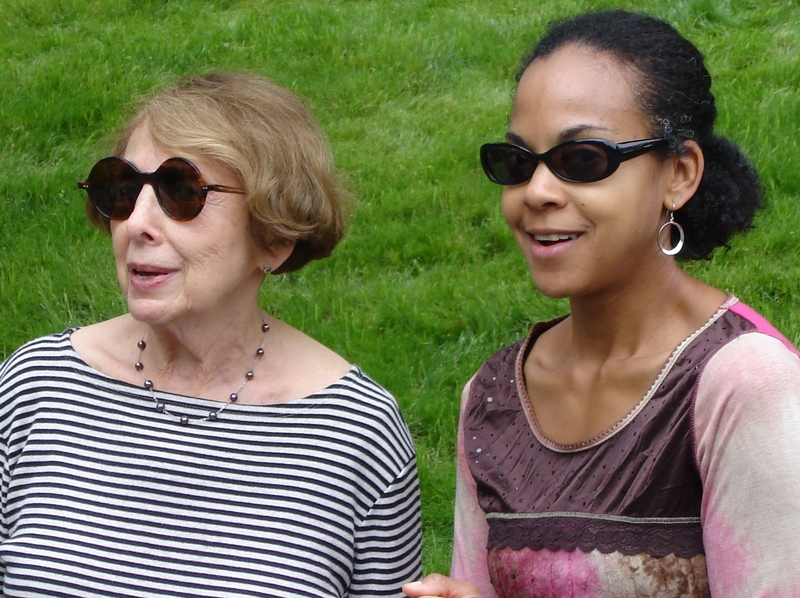 Specifically, I am lucky to have a mother who listens to me, no matter how hard it is to hear what I sometimes have to say. I am lucky to have a mother who champions me, even when I can’t see the value in what I do myself. I am lucky to have a mother who knows me, truly, who accepts me and who has never, ever given me cause to question her unconditional love. Generous mothers like mine are easy to take for granted because they never demand credit for anything. For this reason, it is important for me to honor my mother, not just on Mother’s Day, but every day of the year. She may not know it but I do. My every interaction with my children is influenced by her in some small way. I often bookmark the funny things they say and do because I know how much she’ll appreciate them. I know how much they mean to her, how she loves to hear stories that highlight Zoe and Theo just being their smart, funny adorable kid-selves. “She was such a delight. It’s like having you again, only without the guilt!” As a grandmother, Mom is free to enjoy my kids without the worry of shaping them and doing things right. The second thing she says has to do with my children remembering her. Mom had me on the “late” side. I too was considered an “older mother” when I had my son at thirty-seven. Which makes my mother older than many of my children’s grandparents. When my kids were very small, Mom worried: will they remember me? She feared—though she had no health issues at the time—that she might not be around long enough to make an impression on their newly developing minds. Somewhere, she had read that eight was the age of fully remembering experiences and people (though I know I have strong memories of earlier periods in my life). Now that my youngest is eight, she says, at least I know they’ll remember me. With all Mom has given them, done for them, taught them, with all the stories I know about her, either because she told me or I lived them first hand, I know there’s no question. As a mom who weaned her last baby almost eight years ago, I feel I have to weigh in on the breast-feeding discussion. First, some background for those who’ve missed it. Slated to begin this September, New York City hospitals will be locking away infant formula, just as if it were medication—part of Mayor Bloomberg’s stepped-up efforts to encourage all new mothers to breastfeed. Similar initiatives are being promoted at the state level—all with the goals of better health and outcomes for children. Good intentions, no doubt, but are the rights of mothers, of families, at stake? That’s what critics are saying, including many mothers who are feeling judged for not nursing, as women who are dismayed at the lack of general support for breastfeeding mothers. There have been several good articles as well as hundreds of thought-provoking comments on this subject. I’m no expert, but I breastfed for pretty close to three years total, and that’s only spread over two kids. So, I happen to be on the privileged side of this debate. I say privileged, because often privileges are what it takes to exclusively breastfeed your baby—a fact that is often overlooked in the discussion. Too often breastfeeding is described as a choice all mothers have the option of making. The right choice, as opposed to the wrong choice (presumably formula). And while I believe everyone is entitled to make that choice; every mother should be entitled to decide what really is best for themselves and their children—often there is no choice involved. For me, it worked out great. For me, it was the lazy-mom option. My kids latched on like pros. And for me—with the exception of one week where I was making way, way too much milk, so much that my poor daughter sputtered and nearly choked—it came easily. 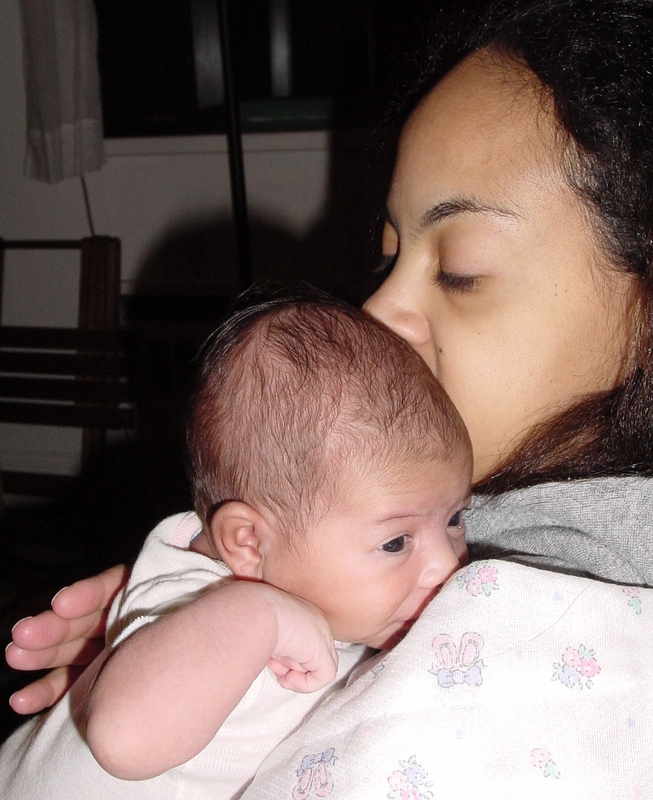 I was so exhausted and totally out of my depth with a newborn baby. Nursing was what made them happiest so I relied on it, probably too much in the beginning. Formula just seemed too complicated; I didn’t feel I had the wherewithal to measure anything, let alone mix anything or warm anything up. So I nursed. And nursed. Sitting up, lying down, wide awake, sound asleep, cradle hold, football hold—you name it, I nursed that way. Does that make me a better mother than anyone else? Does feeding your child non-stop because it is less tiring than anything else make you a better mom? Does reading both Bridget Jones books and American Pastoral and We Were The Mulvaneys in the first two weeks of your child’s life because your child is conveniently occupied at the breast make you a better mom? You decide. Time. I had left my job as a special-education coordinator at a charter school a few weeks before my delivery. My return to work when Zoe was four weeks old, meant seeing psychotherapy clients one morning per week—Saturdays when my husband was home and usually at least one other relative was visiting. When she was six weeks old, I resumed the second night of sessions, along with a full day of a post-masters family therapy externship at the Ackerman Institute, a short subway ride away. I carried my pump to work, had easy access to privacy and refrigeration. I also had time to pump. Pumping wasn’t fun, but it was only twice a week. My kids, I’ve been told, hated the bottle, but took it begrudgingly. No one starved. Location, Location, Location: Another thing about our neighborhood in Brooklyn, if I walked my stroller-baby too far from my apartment building to go home and nurse when she needed it, I was always less than a minute’s walk from one of several nursing-friendly locations: Starbucks, Cobble Hill Park, my pediatrician’s waiting room. A loving, unconditionally supportive, and nicely-employed partner. While my husband didn’t do any early morning feedings, he would have if I’d asked. As it was, he was always on hand to burp a baby, change a diaper, sing a song, or do anything at all in his power to make this whole new family thing a happy place for all involved. Access to other moms who told me how to avoid confusion in the hospital. In my day, back when I started having babies at the turn of the century (2001), hospitals didn’t just hand out free formula, they would feed it to your crying baby any time your back was turned—unless you had a big sign on the bassinet that said “NO FORMULA! NURSE ON DEMAND,” which meant you were a savvy, in-the-know mom, an educated mom, who might sue if someone snuck formula into your little angel’s mouth. Without a sign, your baby might get bottles of formula as well as sugar water if they cried and it wasn’t convenient for an orderly to bring him/her to you. I had a sign. (I knew to have one because I’d learned from other moms, to whom I had access, and the leisure to seek out.) Though my babies were both with me on the ward, sometimes they got taken away to be measured and washed and vaccinated and honestly, who knows what else? But the minute they cried, the sign meant they were delivered to my waiting arms (and breast). Yes, all the breastfeeding stars lined up for me. 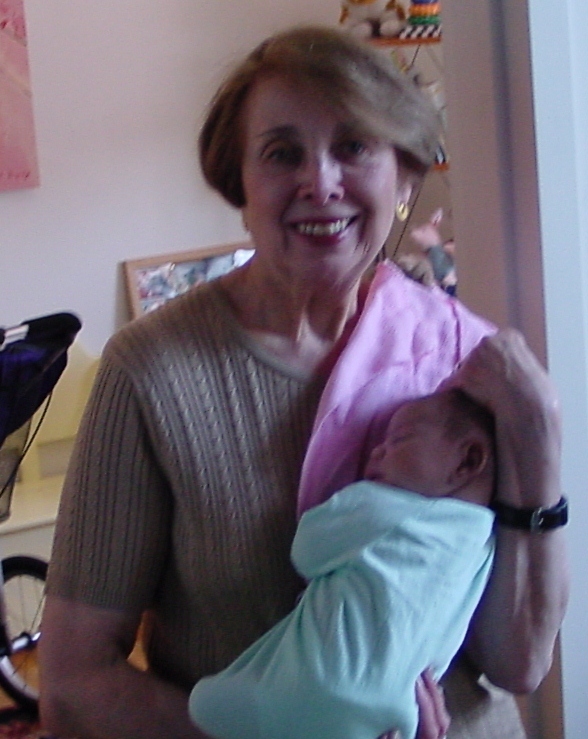 They allowed me to nurse Zoe for fifteen months—until I was ready to try for a second child and weaned to increase fertility—and Theo for seventeen months until one day he decided that was just about enough, thanks (when I offered him a breast, turned his head away and shoved in a thumb). Does that give me the right to judge, or to lord it over those who didn’t have it so easy? Absolutely not. My children are healthy, smart, lean, well-adjusted and awesome, but so are many of their friends who weren’t breastfed. Those friends had mothers who worked more than I did, or whose offices were not supportive of nursing women. Some of those friends’ mothers had trouble nursing, or were on medication contra-indicated for nursing, or got infected breasts, or didn’t produce milk no matter how they tried. Some of those friends were in the NICU and were unable to be nursed. Some of those friends weren’t nursed for reasons I can’t name, because it wasn’t my business to ask. Also, some of those friends joined their families through adoption. Speaking of which, where—in all this discussion—is the acknowledgement that adoptive parenting—every bit as “real” as non-adoptive parenting—does not generally include breastfeeding? If formula is good enough for children who joined their families through adoption, why can’t it be good enough for children whose families’ lives just aren’t set up for breastfeeding? Ask any one of my friends who have adopted children. These mothers will tell you: formula is not poison. You can tell that by looking at their bright, beautiful and awesome kids.